Providing you the best range of tcca 90 tablets, trichloroisocyanuric acid tablet for swimming pool, tri chloro isocyanuric acid tablets and swimming pool test kit with effective & timely delivery. Backed by profound experience of our experts, we are an unparalleled name engaged in providing high quality assortment of TCCA 90 Tablets. 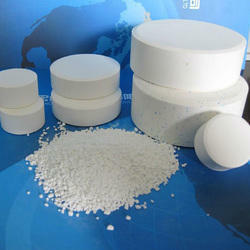 Being a prominent firm, we are engaged in offering a distinguished assortment of Trichloroisocyanuric Acid Tablet for Swimming Pool. 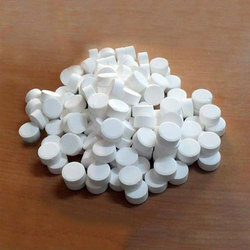 Riding on unfathomable volumes of industrial expertise, we are engaged in offering a broad assortment ofTri Chloro Isocyanuric Acid Tablets. 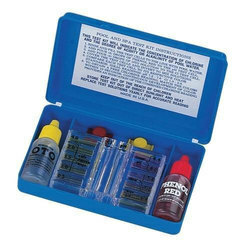 We are a unique entity in the industry, actively committed towards providing an optimum quality Swimming Pool Test Kit.